My eBook, available for download to your FREE Kindle reading app, is getting rave reviews on Amazon - check 'em out! If you're a traveler, a yoga buff, a lover of adventure, or Indophile, you'll love Bindi Girl: Diving Deep Into the Heart of India. p.s. Click here to add your own review to Amazon! M. Saga (San Francisco, CA USA)If you want to see, hear, touch and taste Ma India in her *rawest* disguise from the view point of an unpretentious, independent and objective adventurer, if you've been thinking about a backpack long-haul trip in mystical India to fulfill your dream that you've never manifested yet or if you are looking for a complete escape with guaranteed belly-laugh moments from your mundane routine, this book is a must read. Erin will take you around the sharp bends and deeper rabbit holes through the subcontinent like no other story tellers can - with a great humor that can make your bladder go wild and very tangible and practical trip info that is necessary for any novice or experienced backpackers to India and beyond. It's a well written and an easy-read book packed with real-life Cosmic Joke stories from the beginning to the end, non-stop. Enjoy your trip! D. Melnick (Los Angeles, CA) -This book is amazing. I could never travel India third class like Ms. Reese, but if you are planning a backpack trip or budget travel in India, you must read this. Daughter Of Mars - Absolutely LOVE this book. Chock full of valuable information, and presented in an easy to read way. Bindi Girl is incredibly talented and presents a much needed service to world travelers!! John Mckinnon (Pescadero California) -I have been reading Erin Reese for many years and have so looked forward to this book. Erin writes as a real person seeking the new and different. She is brave in that she follows her heart (so needed in this day and age) and trusts that she will be guided. Unlike travel writers that have everything go perfectly, for Erin everything does not go perfectly and she deals with it. Her travels, the people she meets, the places she visits are treated as sacred and respected as such. Wise beyond her young years, an old soul seeking her peers. Thank you for writing this down. As all great teachers, Erin teaches by example. Regarding the Kindle download, I was pleasantly surprised at how fast it arrived on my iphone. This makes it available to me anywhere I go and have a free minute or ten to read. It also saves paper, shipping, handling and the complex, frustrating transfer of money. 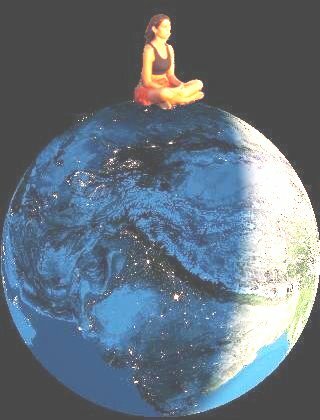 May this world continue to become more conscious and effective in communication especially the communication of the heart. Deva Caprice - Wow Erin Reese...woman of courage and conviction who paints a vivid portrait of her profoundly experienced expansive and loving vision quest. I'm glad she blazed the trail that I may never have the courage to, and her artful portrayal of her travels and her visceral description of these experiences make me feel as though I am as close as I may ever need to be. Thank you Thank you Thank you! I read it mostly in one sitting as I couldn't wait to see where she would take me next...Happy Trails Goddess! Wendie - Bindi Girl is quite a trip for the senses, and what fun it is to tag along with Erin Reese as she explores the Subcontinent with little more than a backpack and a flare for adventure. Friendships are forged and romances realized on this journey of self-discovery. We learn what it takes to stay perfectly still for hours at a time, motivate those who won't be moved, survive sand fleas and tummy troubles, find joy in the faces of children and peace in the middle of a traffic jam. All the while, with Erin as guide, India reveals its many facets, twists and turns. To have kept her sense of humor and sanity through all the ups and downs is a miracle in itself, but Erin doesn't just maintain her equilibrium throughout the story, she pushes the boundaries, making us believe that her quest to discover her own spirituality is one we all should experience for ourselves. Bravo, Erin! yoga-bhoomika ~ when both subject and object are absent. 185. In the negation of the duality of subject and object, the state that arises is experienced as the noumenal aspect known as Yoga-bhoomika (the yogic state). 191. Or the state of satiation when all the senses are satisfied in the same instant. 192. It is this kind of state that is the yoga-bhoomika, when both subject and object are absent. “Who” will then experience “what” in such a state? 3. My Guru has so transformed me into this state in which I now find myself that it is difficult to say whether I have been contained in this state or whether this state has been contained in me. A collection of shared experiences. A Soul is the wave. 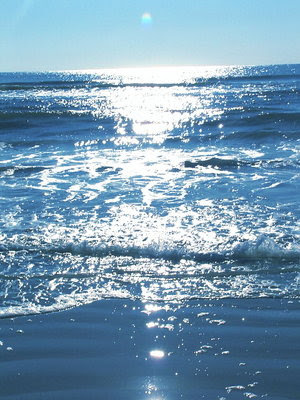 The ocean is everything and does not know the absence of anything. The Ego is a fused drop of identified consciousness.. It confuses itself to be the Doer, the Ocean. 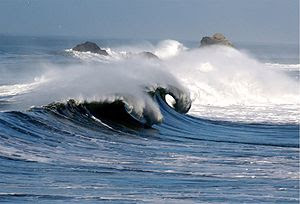 At best it realizes it is a part of (yet separate from) a Soul, a wave of the Ocean. Sometimes, it happens that the Ego drops entirely into the Soul. This can be considered a form of Realization. This is Soul-centered Being, Living, Existing. Dear friends and clients: I am going on silent retreat from June 1 - 12, so if you are in need of a reading, please email me over the next two days. I will offer readings by donation until May 31st. Tarot and Monthly Check-up Astrology readings - pay what you can. The last time I saw my guru, Ramesh Balsekar, in person was August 2009. Right after I visited him in the hospital (see post "Got Stars In His Eyes"), I intuitively downloaded a message about a book that would help deepen my understanding. The book is called Experience of Immortality, containing Ramesh's reflections on the sage Jnaneshwar's Amritanubhava. The Amritanubhava is POWERFUL. Jnaneshwar is a poet saint from the Indian state of Maharashtra. He became a fully realized being as a teenager through the grace of his own guru, who happened to be his very own brother Nivritti. The brother instructed Jnaneshwar to write his own reflections on the Bhagavad Gita. 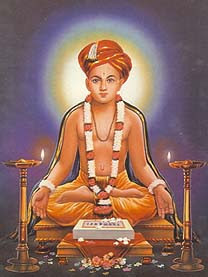 When he completed that work (known as Jnaneshwari), the brother-guru instructed Jnaneshwar to compose his own gita (song) from his own unique direct understanding. It’s basically about time-passing… total realization is inevitable if there is full intellectual understanding, so keep working on intellectual understanding in the meantime. Read Jnaneshwar’s Experience of Immortality. You might enjoy Jnaneshwar because he is also a bhakta-jnani like you. I picked up the book at my favorite Indian philosophy-spirituality bookstore in Mumbai, Chetana and, knowing that there was nothing I could do in Mumbai except wait for Ramesh to either come back to health or leave the body, I took the train back to my village in the south Indian state of Karnataka. Reading the book over the next month, the great sage Jnaneshwar completely blew my mind - or what was left of it. Every day was like an orgasmic explosion of understanding and realization. And it's not an easy read! It's been described as Ramesh's most challenging yet most rewarding work. On September 27, 2009, I was reading the final chapter of the book during my usual morning reading, reflecting, and note-taking time. I 'got it' upside down and every way. That very morning, I finished the book with tremendous gratitude thumping through my being. After my morning yoga asana practice, I sat in meditation for a long time - longer than usual. Upon opening my eyes, I saw a radiant, white sparkly halo emanating from my body and all around – God was in the house. I was brought to tears as I felt Ramesh’s presence, and the power of truth and love, so deeply. I almost dropped the phone. That was the moment of the deafening roar of silence. I didn’t even need to call my friend. I knew: Ramesh was gone. He had taken Mahasamadhi at 9:00 a.m., exactly as I was practicing yoga on the deck, basking in the white light of pure Love - the very morning I finished the treatise, The Experience of Immortality. Needless to say, that book will be precious to me forever. I had to sell my copy to lighten my load when I left south India (talk about non-attachment). Someone out there is reading this powerful gem, with all my notes and tears and highlights and revelatory markings! 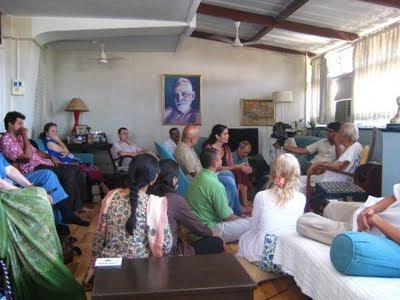 But I have a couple riveting passages saved here, which I now share with you in the following post, Yoga Bhoomika. This is pretty intense reading. On the other hand, it's totally simple. Like the Tao, it's paradoxical and cannot be grasped with the linear mind. Read it with diffuse awareness when you are in the right frame of mind. For me, extremely early in the morning (between the hours of 3:30 a.m. and sunrise) is best for absorbing sacred texts! My beloved Guruji is in the hospital ICU, preparing for hip surgery. I visited him today and he looked so beautiful, lying there peacefully resting. His color was good – browner and healthy – and he was sleeping peacefully. I felt so nervous entering his most personal of spaces – the Intensive Care Unit. The primary reason for my visit was to pay my last respects, express my love and gratitude, and if I were lucky – if it were my destiny – I’d have five minutes to sit in The Teacher’s presence and receive his DARSHAN. His darshan was so strong. The field emanated from his small, thin but strong, body lying on the elevated hospital bed. I looked around. I was pleased and impressed with the cleanliness, tidiness and organization of the hospital. Then I settled in to be by his side. Guruji awoke. “Hello there.” He looked over at me. I immediately rushed to his side and told him I had come up to Bombay from South India to tell him that I loved him and he looked beautiful. He said, “That wasn’t necessary.” His tousled white hair looked like a white duckling down. And then… he really opened his eyes and we looked at each other for several moments. THE STARS IN HIS EYES WERE SO BRIGHT. I could barely look into them. They were beautiful and fascinating – a gray-blue twinkling and sheer solar radiance emanating. They were two SUNS blazing. “What?” he asked, waking up all over again. “Thank you,” he replied, and gazed at me a bit longer. He blinked a few times while looking at me. Bling bling bling his eyes sparked in my direction. Never knowing if it would be the last time, I kissed him on the cheek goodbye. or can we enjoy both at the same time? If a guru is necessary, a guru will happen. I don’t know if it’s necessary for you. I can say that for some people, it is necessary, because existence brings it about - it happens. Who are we to judge whether it’s some sort of ‘weakness’ or ‘projection’ (or the opposite - a requirement) to have a guru? The appearance of a guru in human form may or may not happen in a spiritual seeker’s lifetime of experience. I don’t know why it happened in my case - destiny, I suppose. I do know that one month before events conspired to bring me to Mumbai to meet my teacher, I had prayed fervently: "God, if there is a teacher out there for me, please, I pray with all my heart, let me meet him or her." It was Thanksgiving Day when I first entered the home of Ramesh Balsekar (1917-2009). In the three years I spent with him, I found him flawless, perfect in his understanding of advaita vedanta, and he was a master teacher. I never heard him miss a beat. They say when we meet our guru, it is perfection. That was my experience. My guru was perfect for me in every way. And therefore, it must also be perfect that Ramesh is no longer here in physical form, having left the body in September 2009. Though I miss him with all my heart, I trust that there are reasons as to why I only got to be with my teacher for a short period. Perhaps it's because I need to be back in the West, and not tied to India. Perhaps three years were all I needed to be at the guru's feet. Perhaps the transmission, and our time together, were simply complete. In one of our final private discussions a few months before Ramesh left the body, he asked me if I'd written yet about the teaching, the "downloaded" understanding of advaita (non-duality). I said no, that it hadn't happened yet. Perhaps it is now arising... words to express the ineffable. This is the first time in four years I haven't been able to be in Mumbai to celebrate the birthday (jayanti) of my beloved guru, born May 25, 1917. To express my infinite gratitude and celebration, I am posting a short series of unpublished writings about my connection to Ramesh. And thank you to grand-guru, Sri Nisargadatta Maharaj. I'm so happy to be a part of this lineage.